The mod look of the 1960s are one of my favorite fashion eras in history. It was a time of high contrast colors, bold prints, psychedelic patterns, shift dresses, mini skirts, culottes, and patent leather. As we all know, fashion repeats itself so I wanted to recreate the popular 60s look in a modern way. Plus this look is a great for fall! 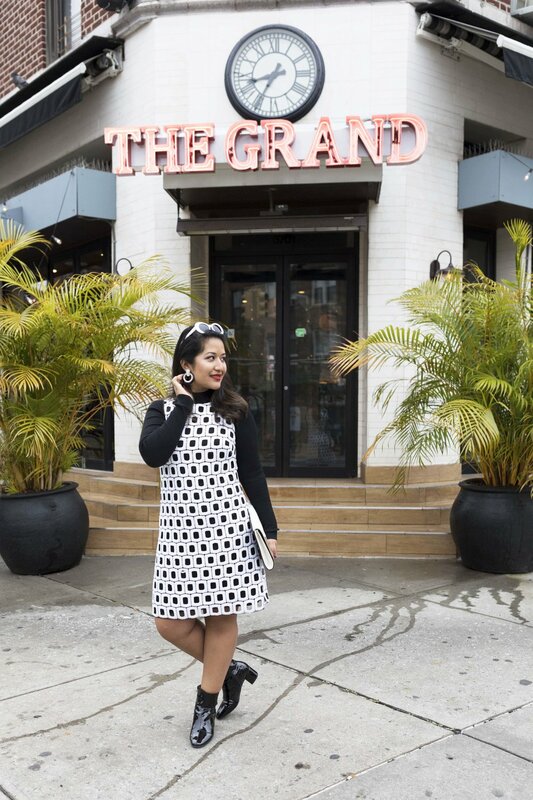 Black and white is a great color combo, no matter what time of year. 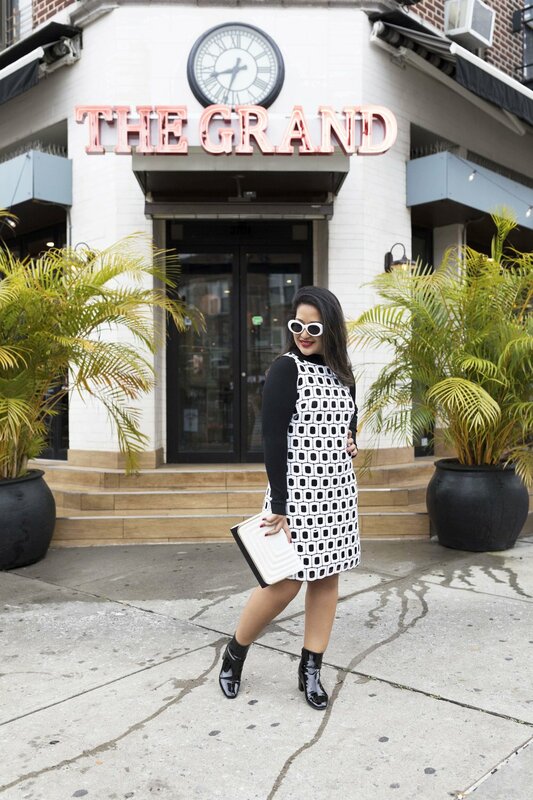 This amazing black and white geometric sequin dress is a great piece to take into the fall by pairing it with a turtle neck. Layering a sleeveless dress with a sleeved top is a simple way to keep your summer clothes around the chilly temperatures. Plus this layered look is really relevant in fashion right now. Top this look off with patent leather ankle booties and bold earrings. There is nothing about this look that says basic! 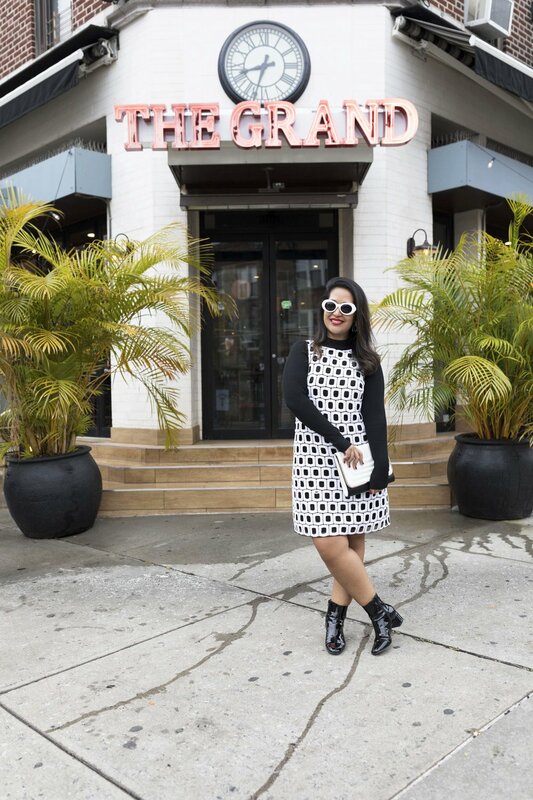 You can also wear this dress in the spring or summer (without the turtle neck) and with platform sandals. Shop the look below!